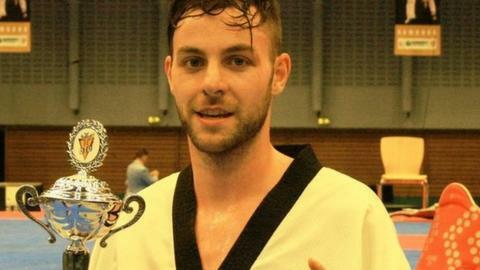 Damon Sansum claimed Britain's second medal at the World Taekwondo Grand Prix in Kazakhstan on Saturday, taking bronze in the men's -80kg category. Sansum, 25, won three bouts on his way to the semi-final, where he faced two-time Olympic Champion Steven Lopez. The bout went to sudden death but it was Lopez who took the win, 13-12. "It's my first medal at a Grand Prix," Sansum said. "While it's not the colour I wanted, it's good for the points and the road to [the Olympics in] Rio." He added: "The sudden death could have gone either way and I could have come home with gold but I'll settle for bronze." Mahama Cho claimed Britain's first medal of the Astana meeting with a silver in the +80kg division on Friday.